Mid-Florida Gastroenterology Group is the practice of Dr. Mallaiah, a Gastroenterologist based in Sanford, Florida. Our practice is committed to patient care and education. We strive to provide each patient with understanding, compassion, medical expertise, and quality of care. 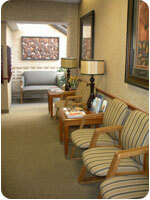 We appreciate your selection of our practice to meet your health care needs. We look forward to providing you with the best care. When it's important, you want to tell everybody.